I have officially completed one week of my pre-op diet! Hooray! I made it! And I didn’t kill anyone! I think that should be applauded more than anything. I dropped 17 pounds this week, all of which I am sure is water weight. But hey, they are 17 pounds I am no longer carrying, so that’s really what matters most here. So how did you do it? you’re probably wondering. Sticking to the plans my doctor and dietician gave me. They each gave me their own versions of what pre-op dieting should look like, so I borrowed the best of each one and have been working that combined plan. Both plans were similar but one plan had no guidance in terms of calories, carb grams (dietician’s plan) and the other had no guidance in terms of what types of protein drinks to drink (doctor’s). Neither plan indicated a specific amount of protein, so I aimed for what my post-op goal is. Drinking water like a mofo. I was told to drink a minimum of 64 ounces of water daily. I have been drinking well over that, exceeding a gallon on most days. I have one of those 24 oz. insulated Starbucks cups (the ones that have the straw), and I keep it full and with me whenever possible. I also have a few 16 oz. Tervis tumblers that I keep full of water and carry with me when I go out and about. Needless to say, I’m drinking like it’s my job! Tracking what I put in my mouth using MyFitnessPal. This has helped me to get a handle on my carb, fat and protein consumption daily. I’m trying to keep my carbs below 60 grams each day, and my protein between 80-100 grams daily as those will be my initial goals post-surgery. So far, I’ve done a really good job. At least I think so. Not getting bored with protein drinks. I am not a sweet tooth by nature, so having to drink a bunch of protein beverages that are by and large sweet has been a real challenge for me to start with. This week I am going to experiment with savory protein drinks. I bought this book by the woman who runs the blog Bariatric Foodie last week in the hopes that I’d find alternative recipes, and lo and behold I did! I also learned how to make hot protein drinks so that I can then have broth-based drinks that I can just mix protein powder into. I’m thinking I want to make a nice beefy-flavored French Onion soup in the crockpot and just stir the protein powder into the broth as I serve it to myself. I just need to find a good recipe for one. I already know how to caramelize onions using the crockpot, so I suppose I just add broth, garlic, thyme and Worcestershire and voila! Soup. I have to get used to drinking these guys for a while since after surgery, liquid is all I’ll be able to have for about 3 weeks. Special function dinner this week. I am being installed as a member of a local Rotary Club this Wednesday, and we are having a special dinner at a local Bavarian restaurant. This restaurant happens to be our regular meeting spot as well. I had a chance to see the menu for Wednesday’s dinner last week, and thankfully there are some low-carb options, but I will have to fight consciously to avoid the potato dumplings, spaetzle and bread basket! Adding regular walking to my routine. Post-op, this is going to be crucial as it will be the only exercise I can do for a little bit. I won’t be able to get into a pool for a few weeks while my incisions heal, and I won’t be able to lift weights or ride the recumbent bike (too much jiggling), so walking it is. Unfortunately it is hotter than hell outside right now as it’s summer in Texas, so I’m planning to use the Leslie Sansone walking DVD I’ve got to get my walking done inside. I’ve got a Fitbit so I can keep track of my steps. Two more weeks to go, and then surgery. I can do this. 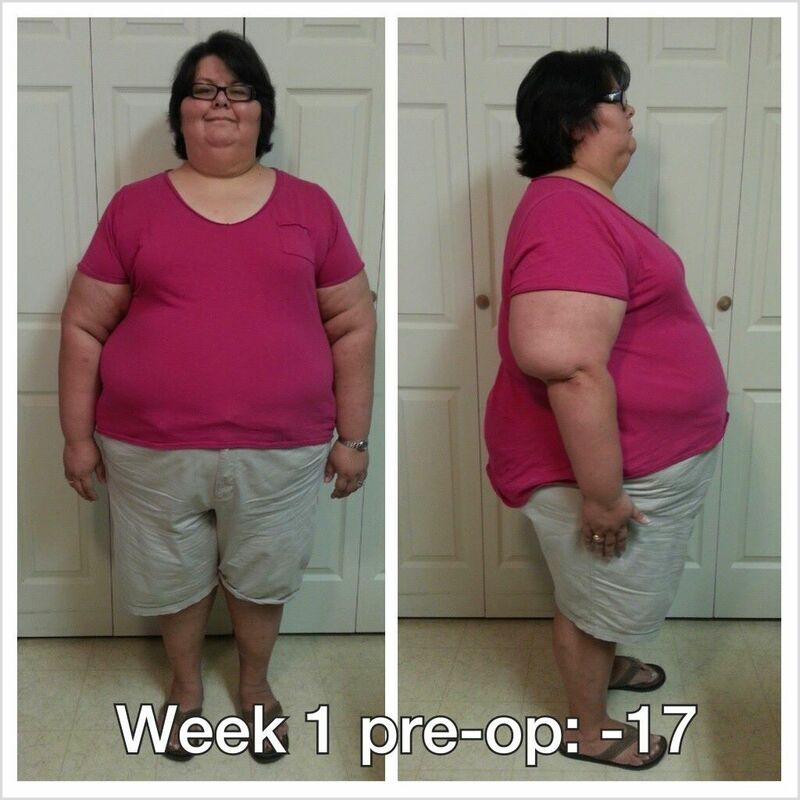 This entry was posted in pre-op, vsg, weight loss surgery and tagged myfitnesspal, photo post, pre-op, pre-op dieting, progress report, reflections, sleeve gastrectomy, success, tracking, VSG, WLS. Bookmark the permalink.